Can a Child Support Order be in Multiple States? A nation’s children are its future. From that simple idea, we get laws that protect children above all, as in Virginia’s “best interest of the child” laws found throughout Virginia Code. This precept crosses state boundaries, too, in the Uniform Interstate Family Support Act (UIFSA). Orders for child support are, by virtue of this federal umbrella act that compelled all 50 states to have state laws supporting it, valid throughout the United States. This eases the confusion and conflict of multiple states each attempting to exact child support, define visitation, or enforce differing orders. The important word here is “beneficiary,” which is your child, not you. The entire focus of UIFSA is the child, not either parent. As you and your family law attorney struggle to reconcile the seemingly different goals of the two federal mandates, you may find a sense of calm if you recognize that the UIFSA puts children first. Where the child goes, so goes the child support. The child’s mother moves to another state, taking your child with her. Do you still have to pay child support? Yes. You move to another state, leaving your children with their mother back in Virginia. Do you still have to pay child support? Yes. Will one state enforce another state’s child support order? Yes. Will one state modify another state’s child support order? Aha. Here things get very tricky, very quickly. You need an experienced family law attorney to navigate this one. If one parent still resides in the state that originally issued the order, and that child support order is the only existing order, that state will have jurisdiction. Every state has a child support enforcement agency (CSEA) of some kind. 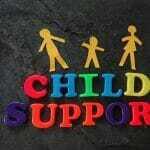 In Virginia, it is the Division of Child Support Enforcement (DCSE) within the Department of Social Services (DSS). That CSEA will work with another state’s CSEA to resolve conflicts regarding support orders. Bear in mind, both ends of that thread are state agencies; the pace may not be to your liking, but … eventually … the two agencies will determine jurisdiction (possibly with a little legal intervention by your attorney and an attorney in the other state). Therefore, you need not just a family law attorney, but a widely experienced one who can suss out the the complexities and clashes between two states regarding child support jurisdiction. 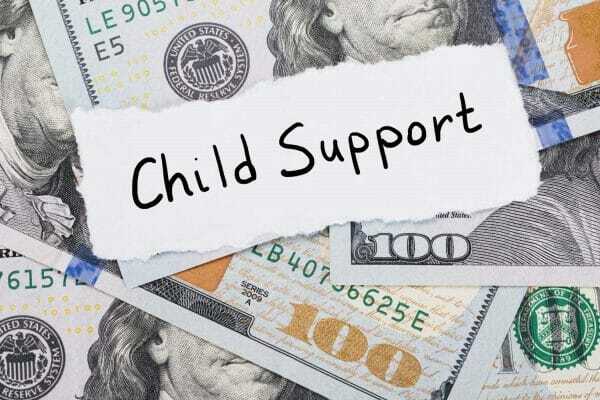 The most common clash with this process is garnishment of wages by one state to make up for back child support payments ordered in another state. This is a matter of financial survival, since the wages can be taken without any effective recourse by you, the parent and wage earner. With each garnishment, you have fewer and fewer resources with which to fight for fairness. Where is the Controlling Child Support Order? A key concept with multiple states overseeing child support is the controlling order. The original child support obligation is the controlling order and the state issuing that controlling order is to be deferred to in jurisdictional disputes. This does not prevent one state from modifying another state’s order; it simply compels a state to defer to the originating state’s CSEA and legal system to modify a child support order. If you find yourself between two states’ CSEAs squabbling over your child support payments, contact The Firm For Men at 757-383-9184, or contact us online. Virginia is very close to many other states, easily reached by children and their mothers. We have deep experience with child support issues across state borders. We always keep in mind that the children come first, but we also know Virginia’s men deserve to have their rights protected. Does Virginia Have Child Support Arrears Forgiveness? 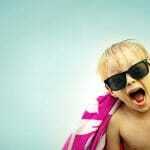 Can I Take My Kids Out-of-State for Summer Vacation? 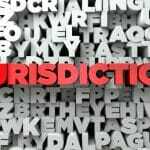 By Jason E Swango|February 4th, 2019|Categories: Child Support, Children & Parenting, Family Law|Tags: Child Support Enforcement Agency, CSEA, DCSE, Department of Social Services, Division of Child Support Enforcement, DSS, UCCJEA, UIFSA, Uniform Child Custody Jurisdiction and Enforcement Act, Uniform Interstate Family Support Act|Comments Off on Can a Child Support Order be in Multiple States?